When you buy a pack of M&Ms, do you just rip open the pack and go to town on it? For a while we thought this was the only way. They’re candies. What else can you do but eat those bad boys — preferably as quickly as possible? As it turns out, there are many, many ways people enjoy their M&Ms. And hoo boy do they feel strongly about it. Do not mess with their M&M consumption. We don’t want even to imagine the consequences. So how many ways are there to eat M&Ms? Too many to track down all of them. But we’ve put together this compilation of some of the most amusing ways people say they eat M&Ms. The default simplest way to eat M&Ms is one at a time. But who does that? It’s a slow process. Yes, you get to savor the entire bag for as long as possible. But who has that kind of time? There have to be better, yet still simple, ways to enjoy those candy-shelled chocolates. Melted. Part of the M&M appeal is that you can hold them in your hands without getting chocolate all over them. “Melts in your mouth, not in your hand,” is a famous slogan for a reason. But you enjoy melted chocolate, don’t you? Imagine having warm, gooey chocolate inside that candy shell. At Instructables you can find three ways to enjoy melted M&Ms. Sticking them under a desk lamp seems to be the easiest. Leave them under until they start to crack. You might get some of the chocolate oozing through the cracks, but that’s hardly a bother. The microwave is another universal option — though just be sure you don’t scorch them! Two at a time. Writer Tim Van Sant believes that you should eat M&Ms two at a time. The argument, we have to admit, is a compelling one. M&M’S® should be eaten two at a time. Always. Eating a handful all at once is gluttonous. And, trust me, two at a time is much more enjoyable. Eating them one at a time is unnecessarily abstemious. While we wholeheartedly disagree about the gluttony of a handful of M&Ms, two at a time does give you the best of two worlds. 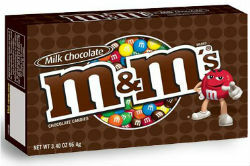 You get the satisfying volume of M&Ms in your mouth, combined with a longer-lasting pack. Sometimes single-factor organization just isn’t enough. Further down his post, Tim offers this little tidbit. “So, two at a time. And they should be the same color.” Well now. That’s something else entirely. Arranging by color. Yes, many people pair their M&Ms before eating them. Eternal Lizdom has quite the system for arranging her M&Ms. Each handful from the bag gets arranged into pairs. What if there are odd ones? This, of course, happens in a handful of M&M’s. So I created rules to make it work. Unfortunately, green and orange is not an acceptable color combination. Green would work with brown because it’s neutral, blue because they’re both cool colors, or yellow because yellow and blue make green. Orange works with yellow because they’re both warm colors, with brown because it’s neutral, or with red because of that lovely warm rule again. La Güera has a method of eating M&Ms that is somewhere between the organized and the kooky. I eat all the brown M&Ms first and then proceed to eat whichever color there are the most of until all colors have an equal amount. Then I will eat them in groups, well, I eat certain colors within the groups first – red, then orange, and then blue, yellow and green however I grab them first. Why the brown M&Ms first? La Güera has her reasons, but we suspect something a bit more psychological. 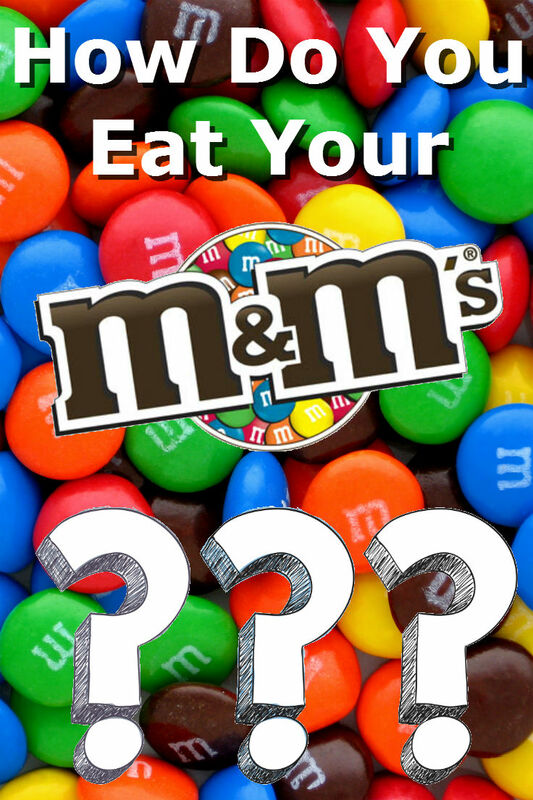 On the M&M FAQ page (which we cannot find on their site, but which we found a copy of on this site [that’s a PDF link]), M&Ms packages contain 30 percent brown pieces, the most of any single color. Brown is followed by yellow and red at 20 percent each. Orange, blue, and green have 10 percent bag share. These organized M&M rituals aren’t so uncommon as it might seem. 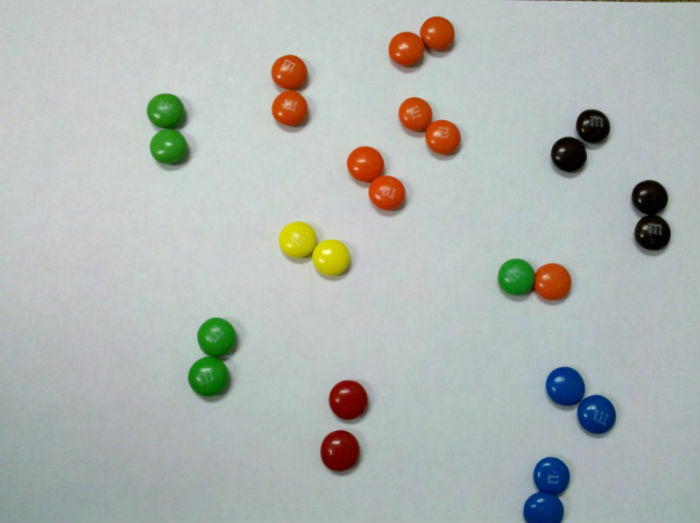 Vikki Reich surveyed people on Twitter about how they ate M&Ms and found that most people do sort by color and/or number. There are outliers, of course, and one of them stands out: “One person sorts by color and arranges them in a rainbow and eats them until only one perfect rainbow remains.” That’s one of the many odd methods that Norma Roth mentions in her post, The Art of Eating M&Ms. Which helps segue into the final section, the kookiest ways to eat M&Ms. We will let this video from Cheri of The Watering Mouth speak for itself, mostly. It starts off innocently enough, with you just sending M&Ms down the hatch. There might be no better method. But then it gets into the hamster method, which is all sorts of kooky. And the ninja method? That is some serious dedication to the art of eating M&Ms. Needless to say we’re looking forward to doing this with a 10-pound bag of M&Ms. We’ve touched on quite a few ways to eat M&Ms, but in our search for people’s M&M’s eating habits we didn’t quite run across this author’s favorite. Seriously, give it a try. Pop a bag in the freezer and then try a handful — and trust us, an entire handful will make this all the better. The added crunch provides instant gratification. As you chew and get more of the crunchiness, you can feel the coldness on your tongue. Further along — because you’ll be chewing that handful for a bit — you’ll start to feel the chocolate as it melts. To this author’s knowledge, there is no more pleasurable way to eat M&Ms. 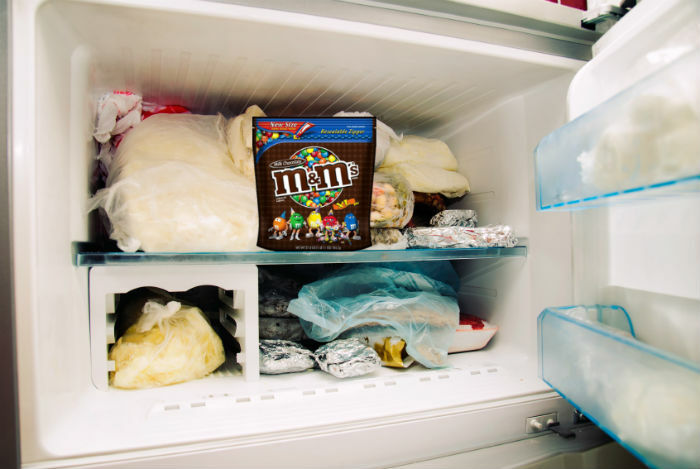 Freezing your M&Ms provides the best of all worlds. Yet if you run a search for frozen M&Ms, you get mostly people asking questions about whether you can actually freeze them. Oh yes, you absolutely can, young friends. You can and you should. There is, however, one better way on this planet to enjoy M&Ms. Only a select few will ever have the privilege of knowing the pleasure. Yes, the best way to eat M&Ms is out of Lord Stanley’s Cup. I’m not fond of frozen M&Ms – I tried it, and I feel like I SHOULD like it, but somehow I don’t! What I must do, however, is sort them by colors, then eat them one at a time, starting with brown, then working down to yellow, orange, blue, red and green – in that exact order. See, I’m leading up to my favorite color, green, by working up from lowest favorite to highest. It builds the anticipation! I know what you mean. Sometimes I like hot M&M’s because they really melt in your mouth and the chocolate seems more flavorful somehow. … good thing they don’t melt in your hand!